"South London Youth Theatre is a dynamic, focused and professionally run organisation." Our weekly classes are split into two disciplines Acting and Musical Theatre and are taught by professional and highly experienced teachers from the industry. Every August SLYT welcomes almost 100 students to our summer workshops, which lead to full-scale productions of famous musicals. The audition takes place on Sunday 28th April 2019.
from 10am – 4pm. You will be required to attend the full day. Complete the SENIOR APPLICATION FORM from the www.SLYT.co.uk website and submit as soon as possible and prior to the audition. e-mail requesting payment of £25 for the audition workshop. The audition venue is confirmed upon receipt of both your Application and payment. WHAT FORM DOES THE AUDITION TAKE? Our auditions take the form of an all-day workshop in three stages: Singing, then Movement/dance, finishing with an Acting/character workshop. You will audition in groups for the SLYT Production team as well as guest panelists from the West End. The audition is designed to be challenging and fun, in a very encouraging and supportive environment! DO I NEED TO PREPARE ANYTHING FOR MY AUDITION? You will need to prepare a musical theatre song of your choice and provide piano sheet music for this song. It should be a maximum of 3 minutes duration, and any cuts should be clearly marked for our accompanist. Bring piano sheet music for your chosen song for the accompanist. (No backing tracks or unaccompanied singing please). Bring also a bottle of water and a packed lunch/snack for the breaks. 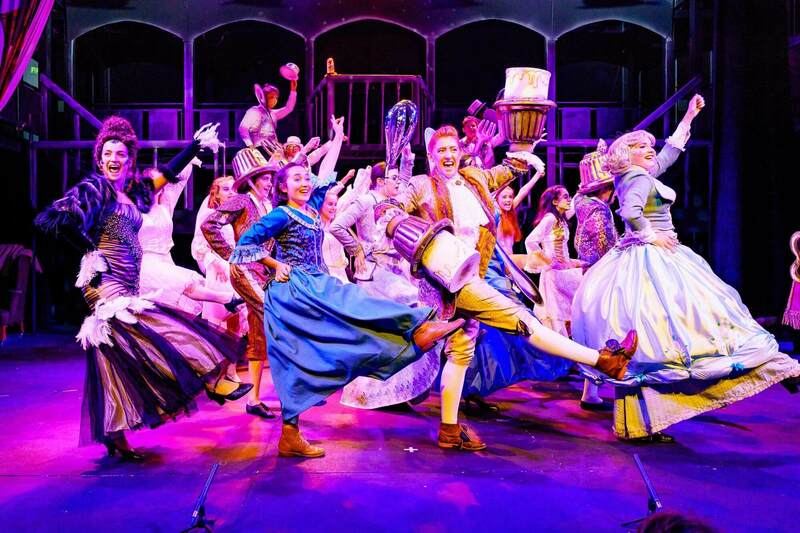 You may wish to bring a change of clothes for the dance audition, and wear something more appropriate for the more formal Singing and Acting workshops. This may help you present your character. You will be notified by letter within 10 days of the audition. If you accept your place and role within the company you will need to obtain a parents signature to confirm your acceptance and also send a deposit to secure your place. This will be outlined in your acceptance letter. WHEN DOES THE WORKSHOP AND PRODUCTION TAKE PLACE? The course takes place from Monday 5th – Friday 9th August, then resumes on Monday 12th – Saturday 17th August, from 10am to 6pm every day, except for production days on Friday 16th and Saturday 17th August, when call times reflect the performances. The 2 final shows are at 2.30pm and 7.30pm on Saturday 17th August 2016. Full commitment to all of the 11 days is required. Please do not submit an application if you are not able to commit to the full workshop. SE24 9JQ and all technical rehearsals and performances take place at the Prissian Theatre. IF I AM SELECTED FOR THE SLYT COMPANY, HOW MUCH WILL IT COST? The cost of the 2-week workshop is £345 per student and this includes all costumes, props and an allocation of free tickets for the performances at the Prissian Theatre, Dulwich, SE22 8TE. 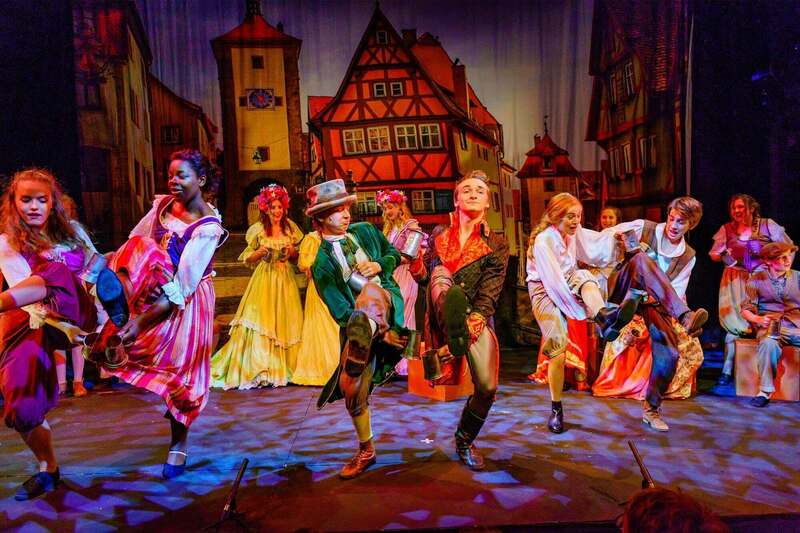 Places in the company and roles within the production will be allocated based on the merit of your audition. 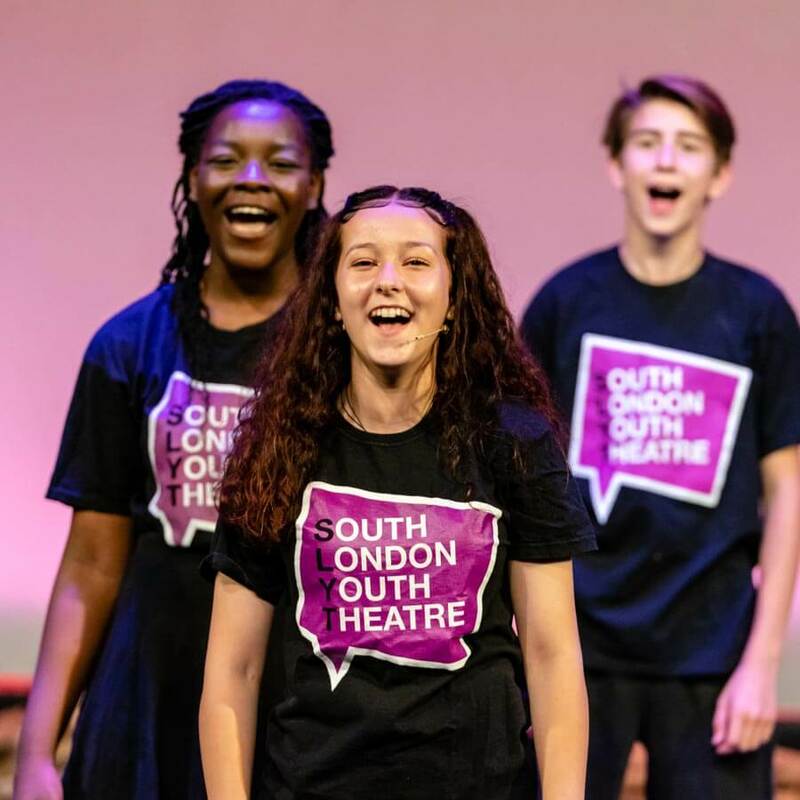 No prior commitment or attendance at South London Youth Theatre will be taken into account when making casting decisions. SLYT is happy to advise any potential student on ways to fund their place on the workshop through sponsorship and in some cases may consider assisted places for those unable to meet the full cost of the course. Other theatre credits include Titanic (Charing Cross Theatre), When Blair Had Bush and Bunga (Pleasance Theatre, Edinburgh), A Doll’s House (Seymour Centre, Sydney), Open For Business (Sydney Theatre Company), Going Bush (Bush Theatre London), Oedipus Rex (Sydney Festival), Freud’s Last Session (Sydney’s Theatre Royal), Macbeth, The Importance of Being Earnest, Lady Windamere’s Fan (Darlinghurst Theatre Company), Neighbourhood Watch, We’re Going On A Bear Hunt (Ensemble Theatre), Emily Eyefinger (Monkey Baa Theatre Company), The Temperamentals (New Theatre), The Cold Child (Griffin Theatre Co.), Actors At Work (Bell Shakespeare Co). Film and television credits include The Silent (Lightning Oak Productions), The Ghost of Cassley (ZDF), Critical (SkyUK), Home and Away (Channel 7, Australia), Underbelly (UBB Productions), All Saints (Channel 7, Australia), Failure To Thrive (Nicky Bentham), Critical (Sky UK), Tell Me How You See The Sky (Palmer Productions), The Code (ABC, Australia), 36 Squad (Breakaway TV). As a teacher, Doug has worked with SLYT, Urdang Academy, Mountview, City Academy and Associated Studios. He is currently the director of the City Academy Collective Chorus. Training: Western Australian Academy of Performing Arts (WAAPA). 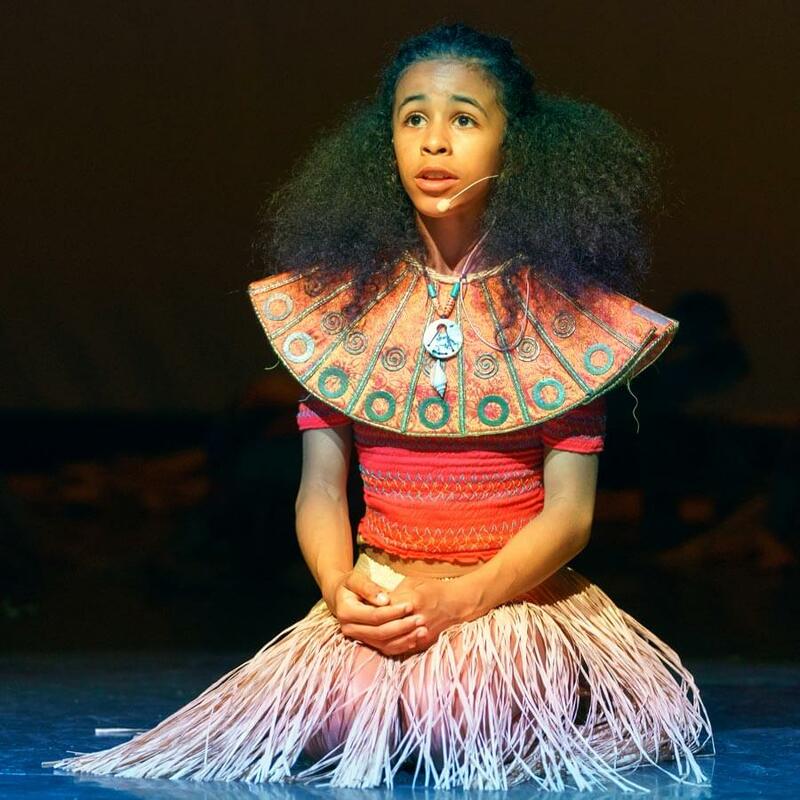 Daisy started as an SLYT student back in 2013 appearing in Hairspray, The Wiz and Les Miserables in 2015. After studying performing arts at University she has grown and honed her craft as a designer and choreographer and she is the first SLYT student to progress to the team of teachers. She has worked with Off The Middle, Crooked Tree Theatre and Taxi Man Productions and more as a set & costume designer, hair & makeup artist and performer. She also runs her freelance design business alongside teaching weekly at South London Youth Theatre. For SLYT Daisy has taken creative control of the set design for The Lion the Witch and the Wardrobe, make-up and hair for Edward Scissorhands, and she also created the enchanted object costumes for our production of Beauty and the Beast. Jon is currently playing King George in the West End production of Hamilton. His stage credits include: Robbie Hart in The Wedding Singer (UK Tour); Eddie in Sister Act (UK Tour); Emmett Forrest in Legally Blonde (Curve Theatre, Leicester); Caractacus Potts in Chitty Chitty Bang Bang (West Yorkshire Playhouse); Alternate Huey in Memphis (Shaftesbury Theatre); Adam Nehemiah in Dessa Rose (Trafalgar Studios); Jamie in The Last Five Years (Greenwich Theatre); Galahad in Spamalot (Harold Pinter and Playhouse Theatres); Hollis in Road Show (Menier Chocolate Factory); Enjolras in Les Miserablés (Queen’s Theatre); Marius in Les Miserablés (Queen’s Theatre), Princeton/Rod in Avenue Q (Noel Coward Theatre); Mark in Rent (English Theatre Frankfurt); Alternate Chris in Miss Saigon (UK tour). Jon trained at Mountview Academy of Performing Arts. Katharine trained at The Guildhall School of Music and Drama and at The Royal Academy of Music. 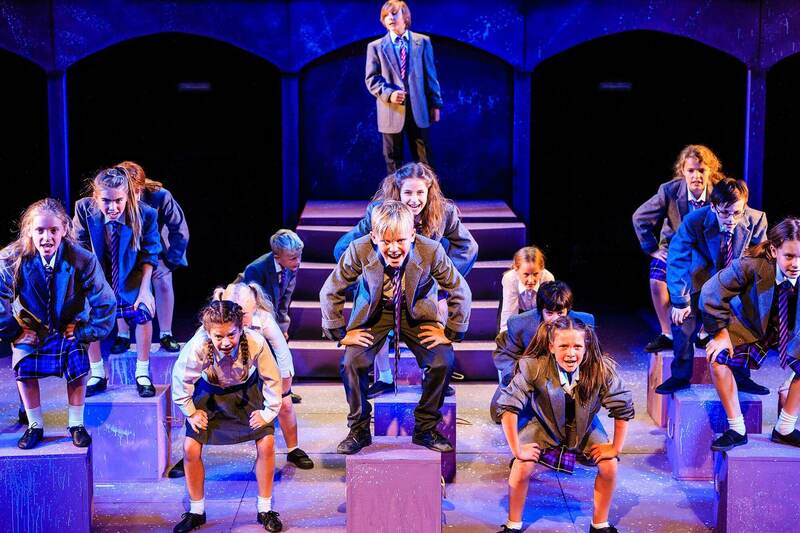 She is currently the Children’s Musical Director for the RSC production of Matilda in London’s West End. Previously to this she was Assistant Conductor for The Jersey Boys, West End, as well as playing keyboards for the show. Other work includes Avenue Q (West end), Beauty and the Beast (UK tour) and CATS (Arena tour). Katharine established her own theatre school, Stage By Stage Theatre Arts, based in South-west London alongside teaching singing at many local theatre schools including South London Youth Theatre. For SLYT Katharine was Musical Director on our productions of Fame, Hairspray, The Wiz, Les Miserables and The Lion King! Katharine’s next job will be as Musical Director on one of the most hotly anticipated West End shows of 2019! Kate has been teaching at SLYT since 2015 and has loved every minute. She has Directed all of our Junior Summer Workshops including The Lion King, Matilda, Beauty and the Beast and Oliver! and she is the creator and founder of our Infant Performing arts class. 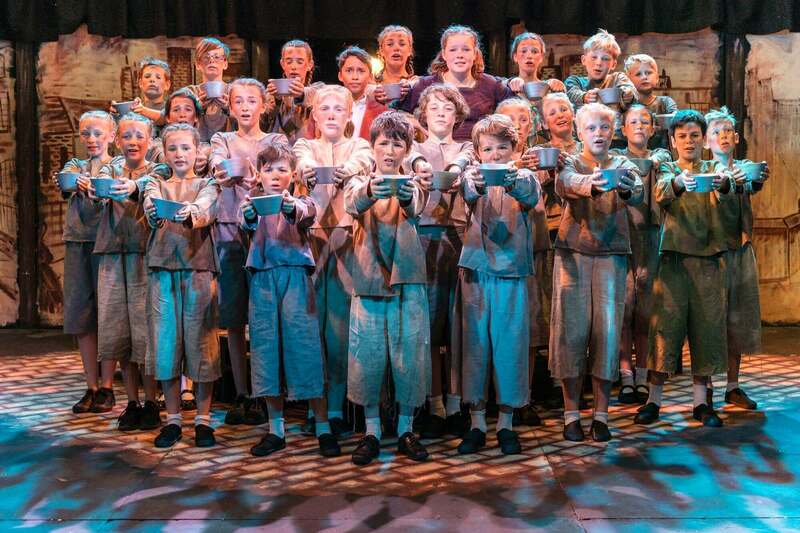 Kate teaches drama to all of our main school students and has directed our students in The Lion The Witch and the Wardrobe. Having trained as an actress at the Liverpool Institute of Performing Arts, Kate spent many years working as an actor playing Juliet in Romeo and Juliet at the Catford Broadway Theatre, working with Creation Theatre Company and appearing in The Hired Man, in the Brits off Broadway season in New York. Whilst acting she worked extensively as a teacher before deciding to focus solely on teaching when she started a family. Kate’s favourite thing about teaching drama is encouraging students to work as an ensemble, which is at the heart of SLYT’s work. Based in London, Joe works with an array of theatre companies, performing arts schools and composers, as a musical director, arranger, pianist, keyboard/accordion player and audition accompanist. Productions include: Sweeney Todd (South London Youth Theatre), Peter Pan (Plymouth Theatre Royal), A Christmas Carol (Simply Theatre, Geneva), The Addams Family (UK Tour), The Mother Life (Showcase at Wyndham’s Theatre), Rent (UK Tour & St James Theatre), The Red Shoes (Sadler’s Wells), Exposure (St James Theatre), Anything Can Happen (RWCMD), Into the Woods (RWCMD), Top Hat (Tour of UK & Japan), Rock of Ages (UK Tour), Legally Blonde (UK Tour), Mamma Mia (International Tour), Rent (RWCMD), Oliver! (Simply Theatre, Geneva), And The World Goes ‘Round (RWCMD), Unilever: People Are Beautiful (The Roundhouse), The Martyr (Soho Theatre), Godspell (Simply Theatre, Geneva), 24 Hour Plays (Old Vic), Mr Stink (UK Tour), Christmas With The Stars (BFM, Geneva), Boogie Nights (Wyvern Theatre, Swindon), Ed (Edinburgh Fringe), Children of Eden (The Arden), Sleeping Beauty (Unicorn Theatre), Raindogs (Trafalgar Studios), A Spoonful of Stiles & Drewe (Her Majesty’s Theatre), Notes In Heels (Duchess Theatre), Myths & Hymns (The Finborough), My Fair Lady (Larnaca, Cyprus), Bugsy Malone (Orbit Studio, Cardiff). As a dep keyboard player: 42nd Street (Theatre Royal, Drury Lane), Annie (Piccadilly Theatre), Dreamgirls (Savoy Theatre), Dirty Rotten Scoundrels (Savoy Theatre), Billy Elliot (Victoria Palace Theatre & UK Tour), Top Hat (Aldwych Theatre), Legally Blonde (Savoy Theatre), and Me & My Girl (UK Tour). Recording credits include: Strange Interlude (NT Lyttelton Theatre), The Winslow Boy (Old Vic/AA Theatre, Broadway), Confused.com Adverts (Angel Studios), and Much Ado About Nothing (Wyndham’s Theatre). Joe graduated from Trinity College of Music (London) in 2008 with a 1st class BMus (Hons) degree. He specialised in piano, musical direction, arrangement and music technology. Eamonn is a highly sought after British composer and has been working with SLYT at our weekly classes since 2011. An Associate of the Royal Academy of Music, he has worked as a musician in theatres all over the world. As a composer he has written original music for Mrs Beeton Says… (Bristol Old Vic Theatre School); The Legend of Sleepy Hollow (NYMT, The Other Palace); The Comedy of Errors (RSC, UK Tour); Flesh & Bone (National Theatre Studio); One Voice (Old Vic); Julius Caesar Re-imagined (RSC, Swan); Grimm Tales & Peter Pan (Chichester Festival Theatre); Improbable Fiction (Mill at Sonning); Hansel & Gretel, Alice in Winterland, The Wind in the Willows, The Lion, The Witch & The Wardrobe, A Christmas Carol, Hamlet, Tess of the d’Urbervilles & Arabian Nights (Rose Theatre, Kingston); Three Sunrises (St James Theatre RE:act); The House of Mirrors & Hearts & The Man Who Was Thursday (Arcola Theatre); A Flea in Her Ear (Tabard Theatre); Stones in his Pockets (Dukes, Lancaster); Five Children & It (Tristan Bates); Portia Coughlan (Old Red Lion); Around the World in Eighty Days​, Sherlock Holmes & The Glass Menagerie (Chipping Norton Theatre); Much Ado About Nothing ​(Stockholm English Speaking Theatre); A Midsummer Night’s Dream (Barakura Festival Theatre, Japan); The Massacre ​​(Theatre Royal, Bury St Edmunds); Liquorice & Smokerings ​​(New Wolsey, Ipswich); and Frankenstein (Dorset Corset Theatre Company). The score for his original musical The House of Mirrors & Hearts won the MTM Award for Best New Score at the Edinburgh Festival in 2010, and after its critically acclaimed run at the Arcola Theatre in 2015, received its US premiere in July 2016. Ben is currently working toward an MA in Musical Direction at Mountview Academy of Theatre Arts whilst also teaching at schools including SLYT and Italia Conti Associates Petersfield. Ben is a highly accomplished musical director and singing teacher. After graduating from The University of York with BA (Hons) in Music, he was appointed as Musical Director for Military Wives Choir, York and he conducted the choir through their very busy concert series until July 2018. Highlights included performances with Lulu and Alfie Boe, singing for Remembrance Sunday at York Minster and Scarborough Open Air Proms and work on three album recordings. Ben was also Musical Director for Harmonize Contemporary Choir, Park Grove Children’s Choir and Vocal Point. He also worked as Assistant MD/Keyboard on the tour of John Rutter’s children’s opera The Piper of Hamelin for National Youth Music Theatre. Ben is in high demand as a singing teacher, having taught extensively for stage schools, colleges and as a workshop tutor with recent projects as Guest Musical Director including BBC York in Harmony (for BBC Radio York), Damien Poole Theatre Arts (DPTA), Royal and Derngate Theatre, Northampton and PQA. Since 2016, he has been Course Director and Senior Tutor at Riverside Musical Theatre Summer School for Riverside Theatre, Ulster University. When not teaching and conducting, Ben is a registered music examiner for ICMA Contemporary Music Examination Board. Spencer established SLYT in 2010. Having taught drama and dance at all of the major franchised performing arts schools in and around London, he noticed a gap in the market for professional standard training in a local setting. Today SLYT attracts 200 students to its weekly classes, which lead to 6 full-scale productions each year at theatres across London. Spencer trained as an actor at the GSA Conservatoire and at Mountview Academy of Theatre Arts, gaining his B A Honours degree in 2003. Professional theatre credits in London include The Scarecrow in The Wiz, Conrad Birdie in Bye Bye Birdie, Genie of The Lamp in Aladdin and Satan in Jerry Springer The Opera. Spencer created the role of Shere Khan in a new musical adaptation of The Jungle Book, written by Richard Taylor and also played Billy Flynn in Chicago, touring Europe. Television credits include Casualty, Doctors, Berkeley Square and the role of Archie in Love In A Cold Climate, all for the BBC. flip flops/sandals/birkenstocks/heavy shoes/boots/Dr Martins/Ugg Boots. These items are not appropriate for the activity). Girls should never wear dresses or skirts to any class as this is not practical for movement and leads to girls having to sit out of exercises. Still photography and videography are core facets of the performing arts. South London Youth Theatre (SLYT) commissions photography for rehearsals, performances and back stage preparations. These images are used in print, on our website and our social media profiles for SLYT publicity purposes. They are a mandatory part of SLYT. They will never be used out of context or by an unauthorised third party. Photographs may continue to be used after a student leaves SLYT. Students 18 years and older require the student’s consent. By completing this form you grant full rights to use the images resulting from photography / video filming to SLYT, and any reproductions or adaptations of the images for publicity or other purposes to help achieve SLYT’s aims. Acceptance of this is essential for SLYT membership. If any student or parent does NOT wish their images to be used in future publicity please contact Spencer James to discuss. Images will be held in accordance with Data Protection regulations. Students’ names will not be attached to photographs without consent.